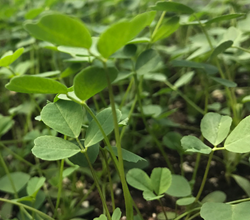 Tillerman Seeds has acquired the assets and real estate of Legacy Seeds, Inc., a Scandinavia, Wis.-based producer of alfalfa, corn, wheat and soybean seeds, as well as cover crops. With its acquisition of DF Seeds last year, the two transactions have created a Midwestern seed company with nearly $40 million in annual revenues and 42 employees. This year Legacy Seeds launched a alfalfa research facility in Wisconsin -- the first in 30 years owned by a private seed company. Tillerman Seeds plans to operate the acquired companies as standalone entities with shared back-office services including accounting, human resources and purchasing. Legacy Seeds and DF Seeds will be able to collaborate on research and development as well as best business practices for customer service, marketing and cross-selling of product lines to better serve farmers. James Sheppard is chief executive officer of Tillerman Seeds, with primary responsibility for sales and interdivisional operations. Sheppard brings four decades of experience in agricultural sales, marketing and operations management to Tillerman Seeds, including executive leadership positions with Harvey Milling Co., Harvey’s Agricultural Solutions and United Agra Products. Sheppard holds a BS in crop and soil science from Michigan State University and serves on the board of the Michigan Agribusiness Association. Bruce Ceranske will continue to lead Legacy Seeds, where he has served as general manager and owner since 2000. Prior to joining Legacy Seeds, Ceranske spent 20 years working for large agricultural companies including Del Monte and Cargill. He has a BS from University of Wisconsin-Stevens Point and served on American Seed Trade Association board. Chris Varner will continue to lead DF Seeds, where she has worked since 2009 and been an owner since 2013. Varner has worked in the seed industry for more than 25 years, serving in management and operations positions at two Michigan-based seed farms and at Michigan State University. She holds a BS from Michigan State and a master’s degree in seed business and technology from Iowa State University. She served as president of the Independent Professional Seed Association in 2017. As part of the transaction, veteran agribusiness executive Kip Pendleton of Minneapolis-based Pendleton Group, LLC will join Tillerman Seeds as executive chairman. Throughout his career, Pendleton has served as a senior executive in AgTech, Precision Ag and Decision Ag companies and participated in multiple merger-and-acquisition transactions in the agriculture industry. Tillerman Seeds, LLC was created to acquire small, regional independent seed companies, especially those with strong conventional non-GMO product lines. Tillerman Seeds is a holding company and plans to operate acquired companies as standalone entities with shared back-office services and collaboration on customer service, research and development, and marketing sales. For more information about products and services, visit http://www.legacyseeds.com or http://www.dfseeds.com. For more information about Tillerman Seeds’ M&A strategy, contact rlenio(at)tillermanco.com. Tillerman Seeds is acquiring producers of seeds for microclimates and non-GMO foods.